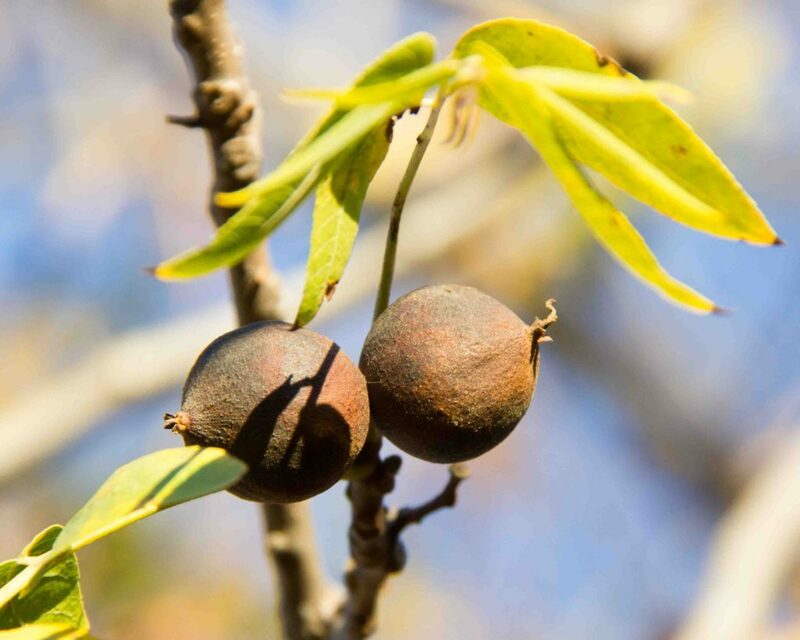 This is one of two native California walnuts. 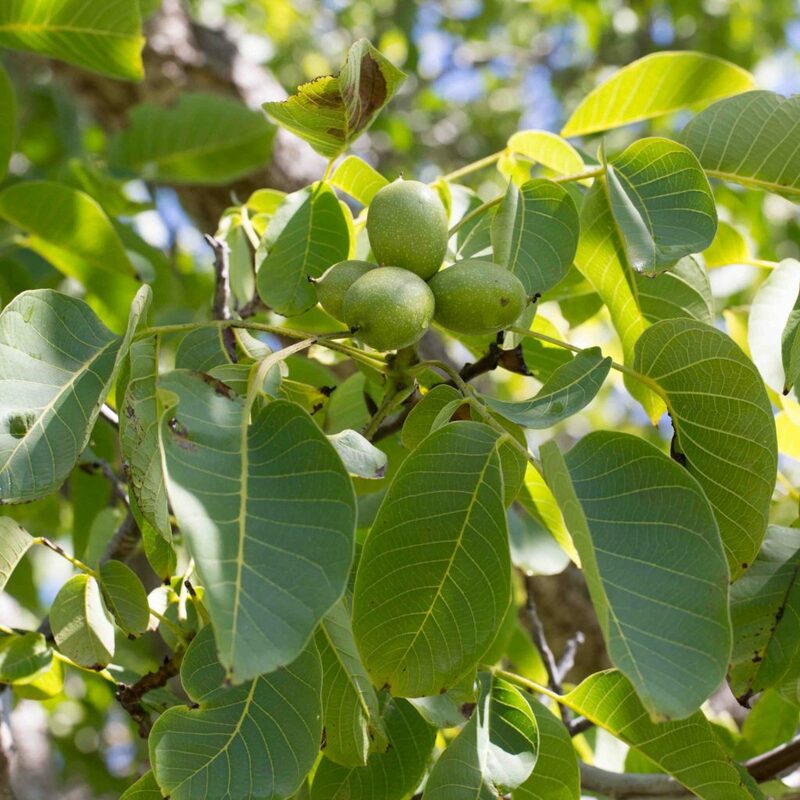 It forms a tall, slender tree, more open and less broad than the commonly cultivated English Walnut (Juglans regia). Like all walnuts it is deciduous. 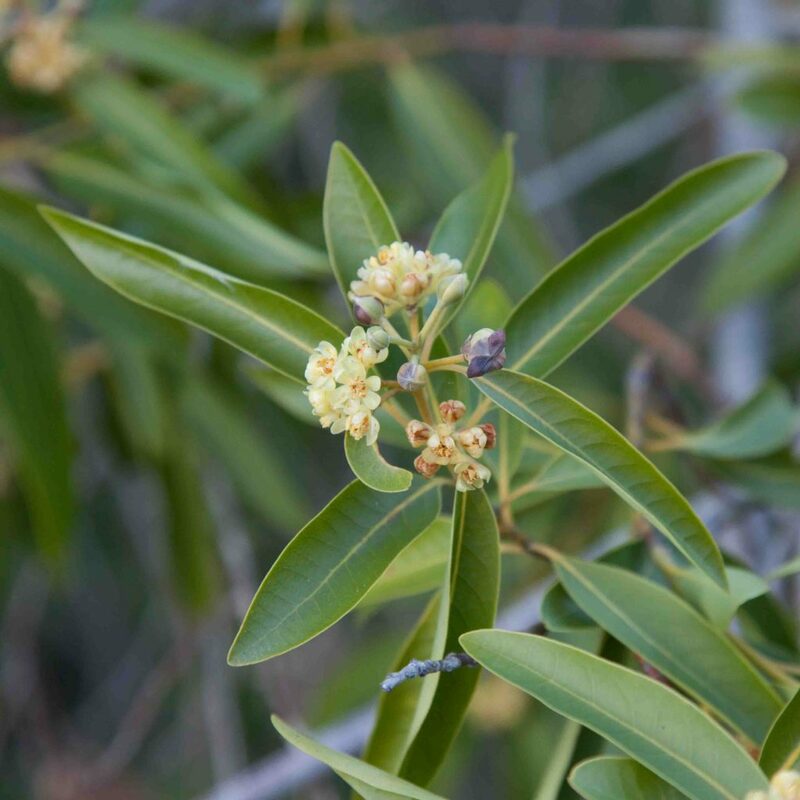 The leaves are pinnate, with 11–21 leaflets 7–13 cm long, narrowly triangular to lanceolate. The shape and the greater number of leaflets alone allow this to be distinguished with ease from English Walnut. 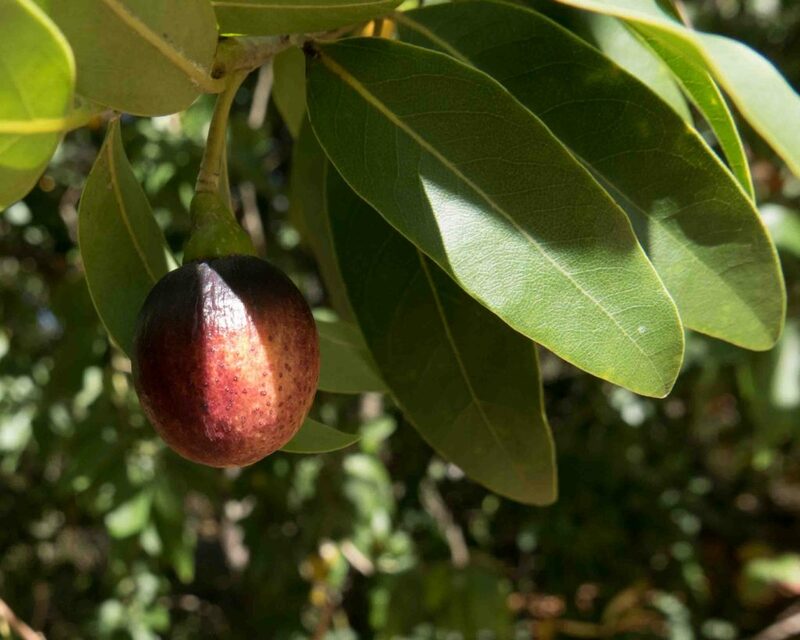 The fruits are of less commercial importance than English Walnuts since they have much thicker shells and less meat. 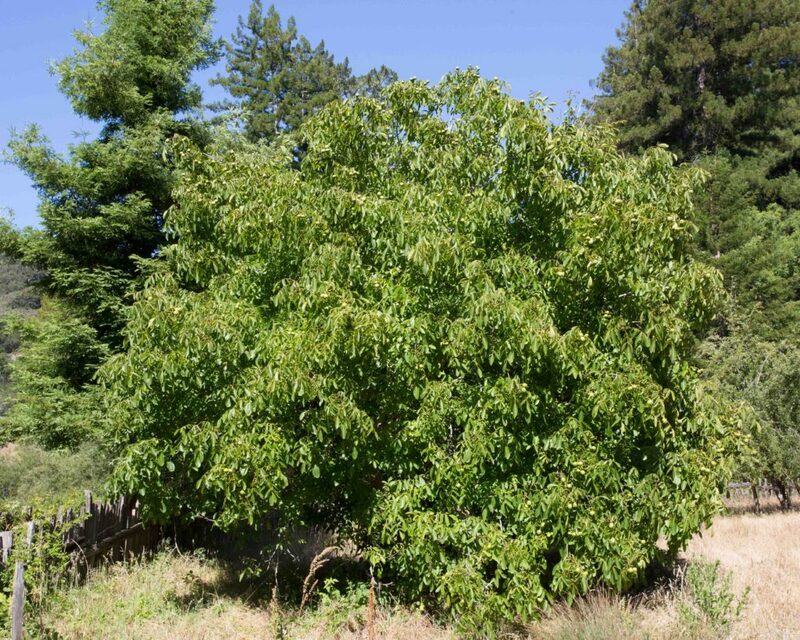 The tree is however much more resistant to drought and pests and English Walnuts are commonly found grafted on to Northern California Walnut rootstock. 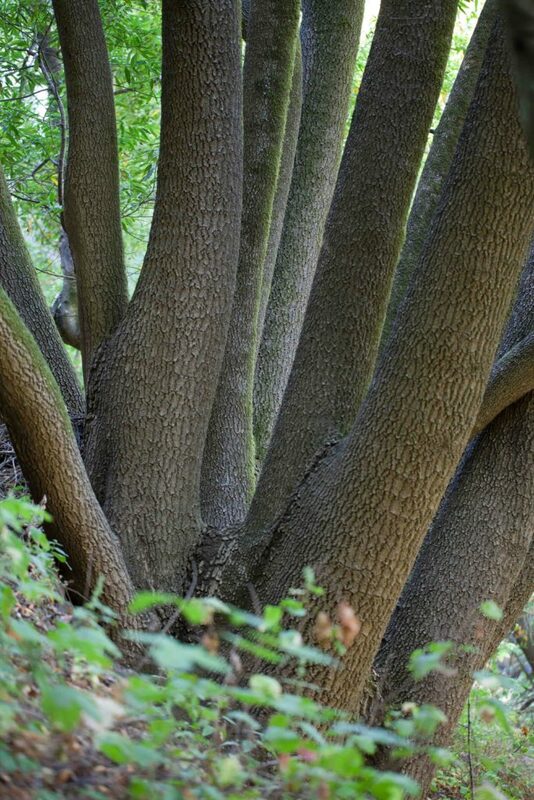 The bark of the two trees is quite different, Northern California Walnut having darker bark with narrower striations. This tree is widely cultivated and occasionally naturalized. 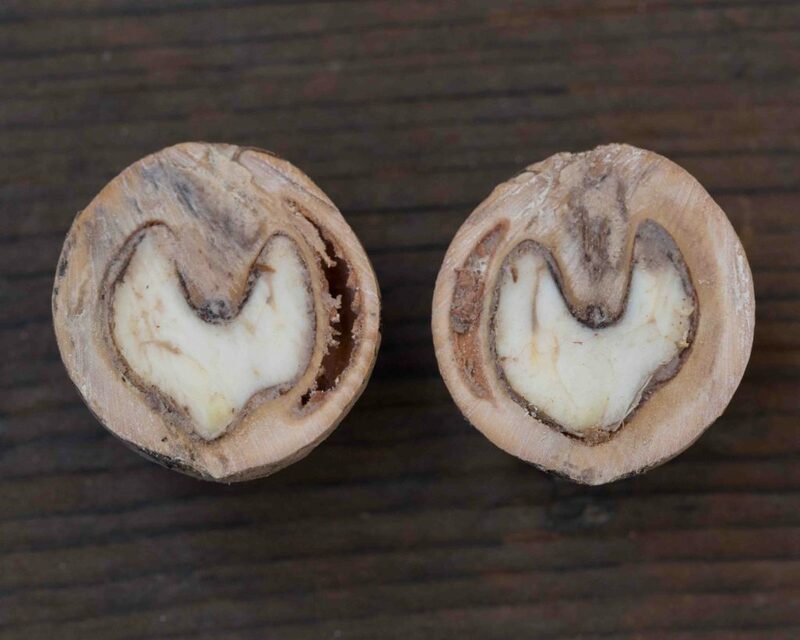 It is prized for its nuts which are more commercially attractive than the nuts of Northern California Walnut (Juglans hindsii) since they have thinner shells and more meat. 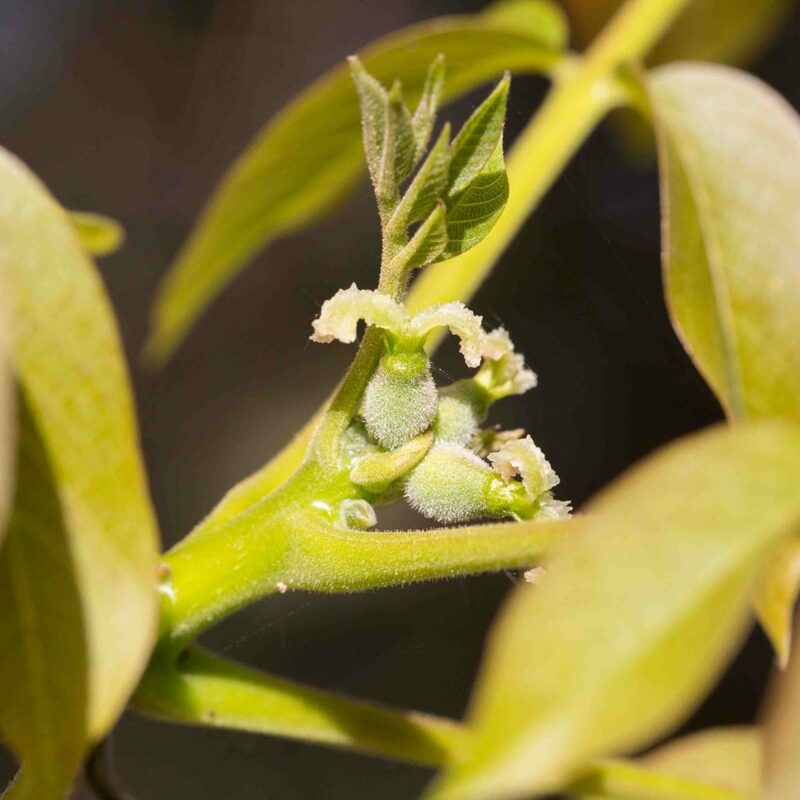 The leaves are pinnate with 5–11 leaflets 10–18 cm long, and elliptic to broadly lanceolate in shape. 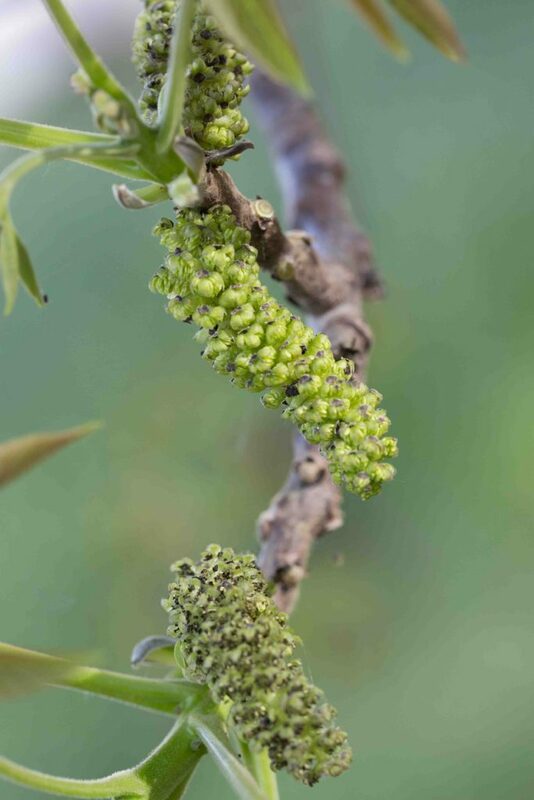 Like all walnuts, the tree is monoecious, male flowers being in pendent, elongated clusters and the inconspicuous female flowers at the tips of new twigs. 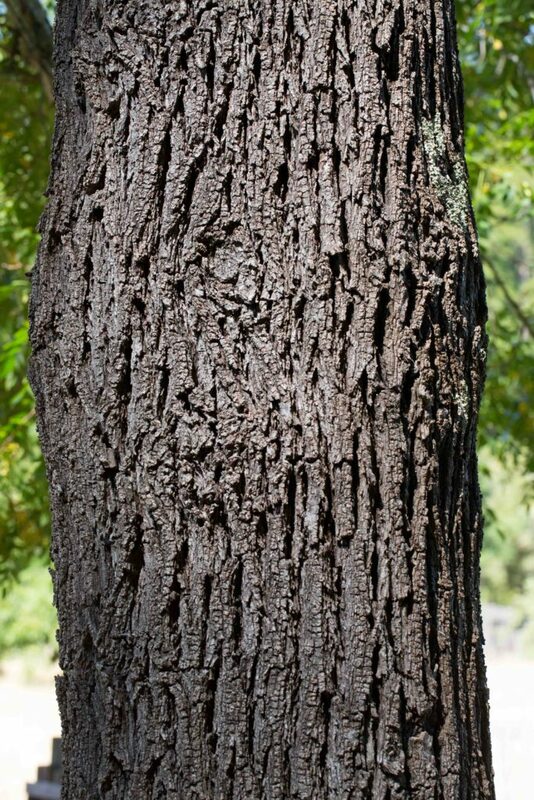 The bark of the tree is comparatively pale in color, becomes furrowed with age and is often pockmarked with holes made by Sapsuckers or Woodpeckers. 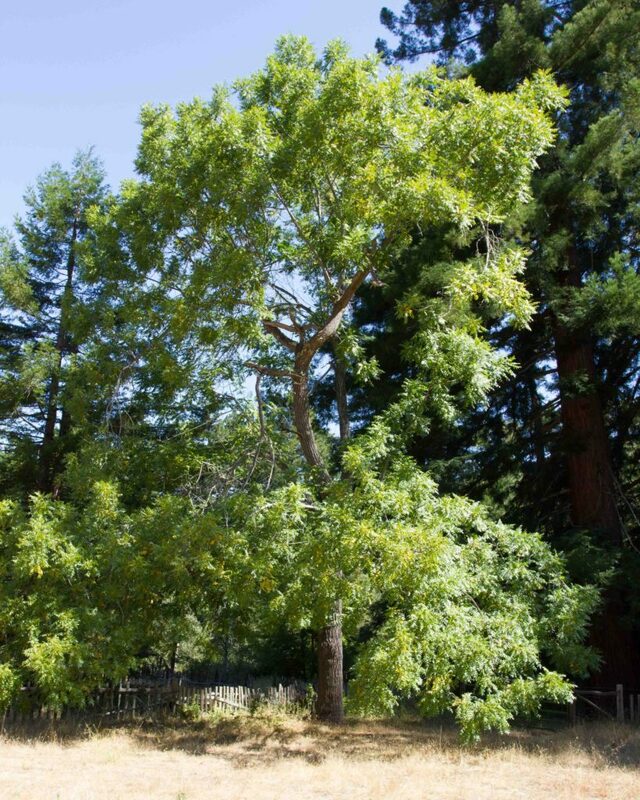 The tree is frequently grafted on to Northern California Walnut rootstock to gain greater resistance to drought and certain pests (clearly visible in photo on right). 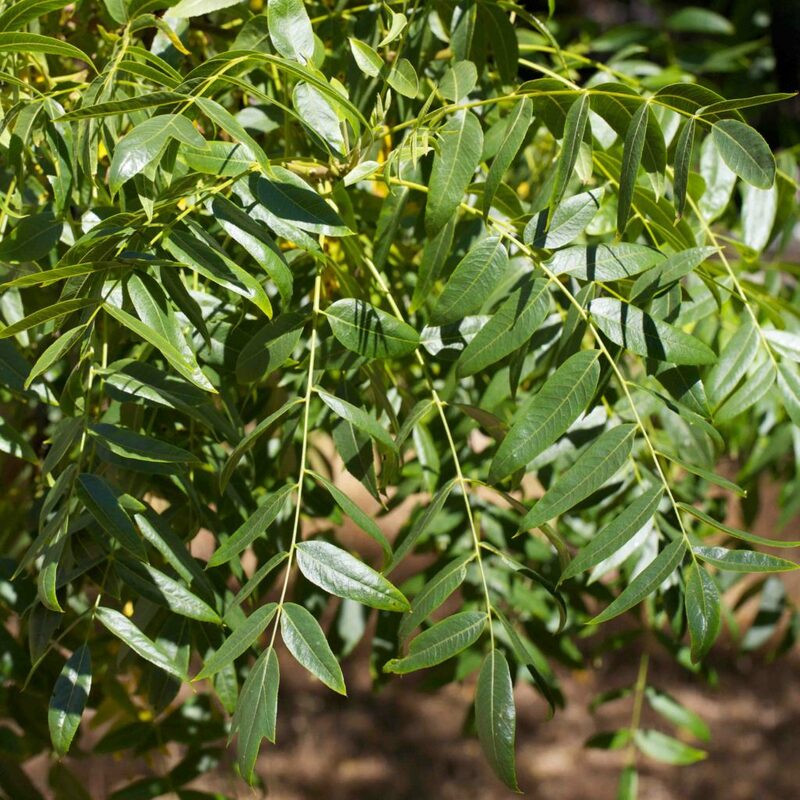 An extremely common tree, most easily recognized by its highly aromatic leaves, deep yellow-green in color and oblong-lanceolate in shape. It sometimes has multiple trunks. 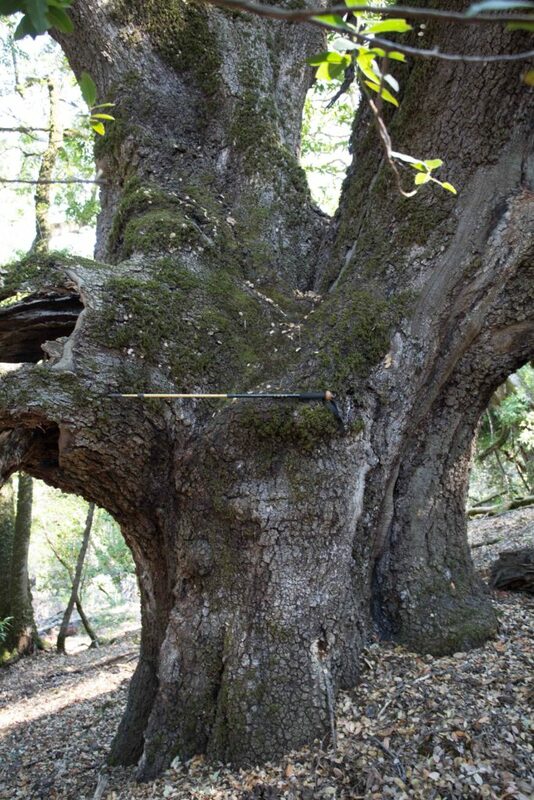 It can grow into a massive tree; one specimen near Corona Peak has a trunk that is almost 4 m in diameter. Flowers are small, creamy yellowish-green, borne in small umbels. Fruits are a drupe, green when young and purplish when mature. 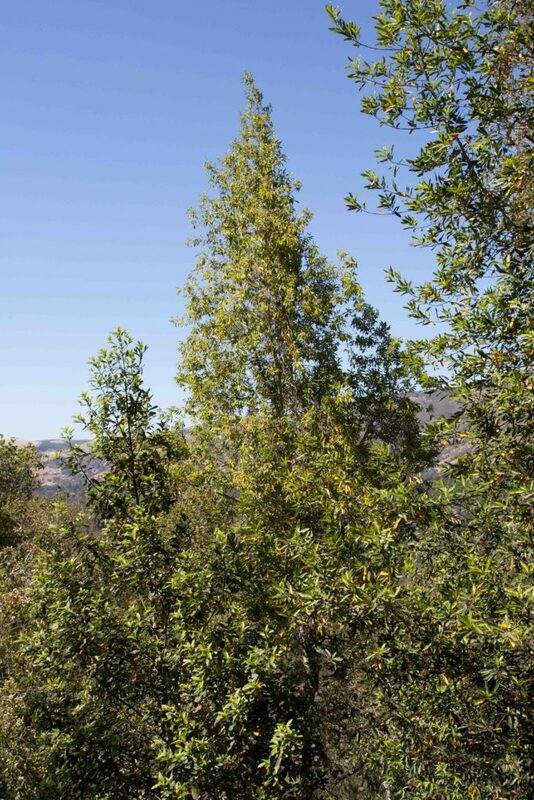 California Bay has one unfortunate characteristic in that is one of the most notorious hosts of the pathogen (Phytophthora ramorum) which gives rise to Sudden Oak Death. 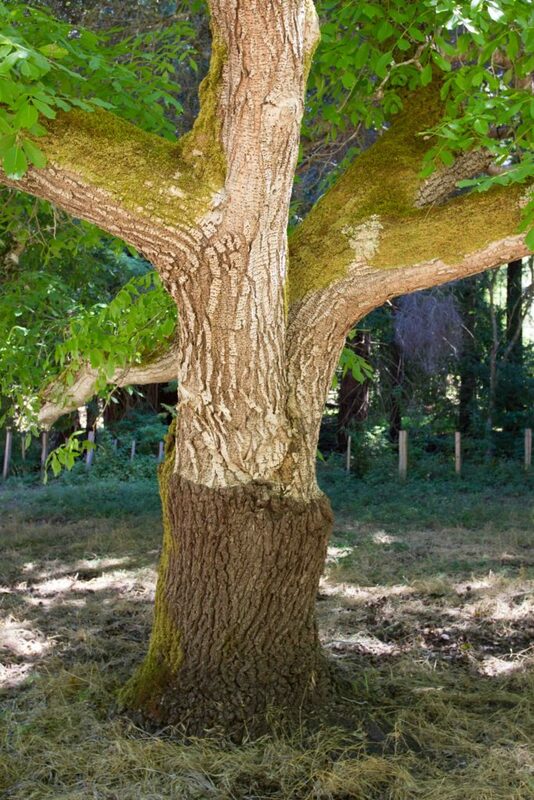 The tree itself is only mildly affected by the pathogen but, if infected, it is capable of spreading the pathogen, with potentially lethal consequences, to any oak tree within a 100 m radius.